Arlington, VA – October 4, 2017 – PBS and Edcamp today announced a first-of-its-kind national partnership that will create opportunities for early childhood educators across the country to engage in peer-to-peer learning. Through this innovative effort, Edcamp and PBS member stations will bring together teachers in communities across the country to elevate their voices and empower them professionally. The initiative will kick off with a series of PBS Edcamp events produced in partnership with PBS stations, and will use Edcamp’s “unconference” professional development model, in which teachers lead their own learning experiences. 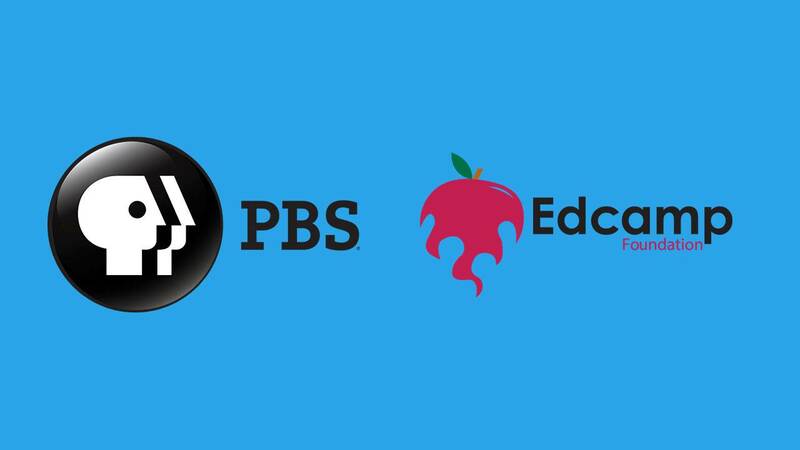 PBS Edcamps will be free to attendees, ensuring that all local educators have access to them. The program will be open to those who work in various learning environments, including informal and childcare settings. PBS Edcamp will give these educators an opportunity to share in professional experiences and discuss best practices for fostering early childhood development and kindergarten readiness. Edcamp’s personalized, participant-driven approach gives educators control over what they learn and fosters a strong sense of community among attendees. Participants propose topics they want to discuss or learn more about, build the agenda and then choose sessions to attend based on their interests and experiences. All attendees are encouraged to share ideas and methods that will enhance their practice. The PBS Edcamp partnership will begin with a series of PBS Edcamp pilots in 10 markets in partnership with PBS member stations. The first PBS Edcamp pilot took place in August in Detroit, where nearly 100 educators convened to share, learn and discuss topics, including classroom management, parent engagement and digital media and technology in the classroom. Tomika Cooks, an educator and teacher mentor/coach at New St. Paul Tabernacle Head Start, along with several of her colleagues, attended the PBS Edcamp hosted by Detroit Public Television. Additional pilots with PBS stations will include WFSU in Tallahassee, FL; Wisconsin Public Television in Madison, WI; WQED in Pittsburgh, PA; WNET in New York City; KLRN in San Antonio, TX; WCTE in Cookeville, TN; ThinkTV in Dayton, OH; LPB in Baton Rouge, LA; and Montana PBS. Following the pilot phase, PBS Edcamps will begin to roll out nationally in summer 2018. PBS, with nearly 350 member stations, offers all Americans the opportunity to explore new ideas and new worlds through television and digital content. Each month, PBS reaches nearly 100 million people through television and nearly 28 million people online, inviting them to experience the worlds of science, history, nature and public affairs; to hear diverse viewpoints; and to take front row seats to world-class drama and performances. PBS’ broad array of programs has been consistently honored by the industry’s most coveted award competitions. Teachers of children from pre-K through 12th grade turn to PBS for digital content and services that help bring classroom lessons to life. Decades of research confirms that PBS’ premier children’s media service, PBS KIDS, helps children build critical literacy, math and social-emotional skills, enabling them to find success in school and life. Delivered through member stations, PBS KIDS offers high-quality educational content on TV – including a new 24/7 channel, online at pbskids.org, via an array of mobile apps and in communities across America. More information about PBS is available at www.pbs.org, one of the leading dot-org websites on the internet, or by following PBS on Twitter,Facebook or through our apps for mobile and connected devices. Specific program information and updates for press are available at pbs.org/pressroom or by following PBS Pressroom on Twitter. The first Edcamp was held in Philadelphia in 2010, organized by a group of teachers, to bring participant-driven professional development to educators. They advertised the event on Twitter and close to 100 teachers came for the initial event. Those teachers shared their experiences of collaborative learning on social media and educators around the country decided to host their own event. Since 2010, this grassroots movement has grown organically with over 2,000 Edcamps being held around the world. As research has shown, teachers want to learn from other teachers, which the Edcamp movement clearly demonstrates. In 2015, the Edcamp Foundation received a grant from the Bill and Melinda Gates Foundation to support the work of the educators who host Edcamps and to build a vibrant network. The more information on the Edcamp movement, our website is www.edcamp.org. We are also on social media: Twitter and Facebook.